Is for the All American Adjustable Height Workstation Slotted Upright Posts Part #QV-1023503. 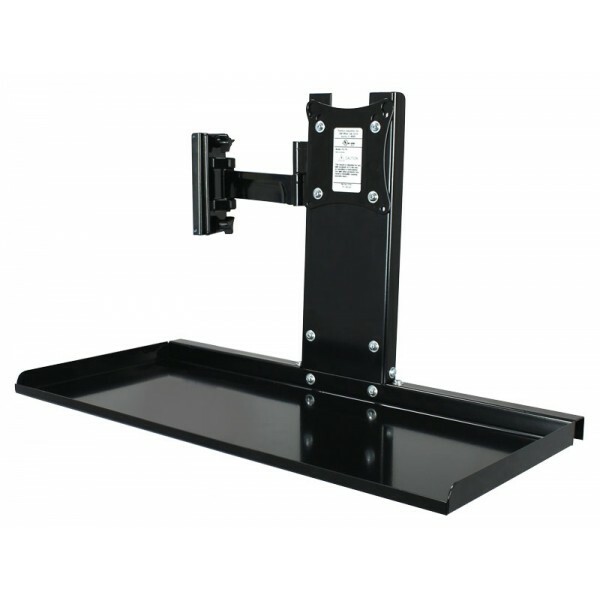 Provides positioning in two planes for optimum viewing angles. Universal display mount comply with VESA MIS-D 100/75mm interface standards. Keyboard/Mouse Holder combines/mounts with part #QV-1004912 of the All American Value Series [PART #QV-1004912 AND PART #QV-1004903 ARE SOLD SEPARATELY FROM EACH OTHER] - The keyboard/Mouse Holder adjusts up and down and includes comfortable angle adjustment.